Hold the anchovies and everything else! 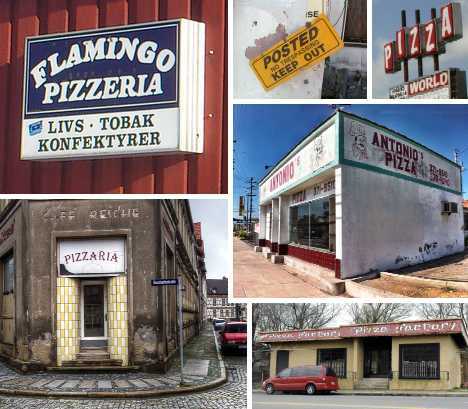 These 10 crusty old abandoned pizzerias have sliced their penultimate pepperoni and will cut the cheese no longer. It’s hard to believe a pizzeria with a BYOB policy could fail but fail Antonio’s Pizza did, and its remains still stand in North Torrance, California to remind us of its past glory. You might still see the store’s flaked and fading shell still standing at the corner of Prairie Avenue and 182nd St. Question: is it still OK for pizzerias to depict stereotypical Italian chefs in their signage, or has that practice gone the way of the Frito Bandito? 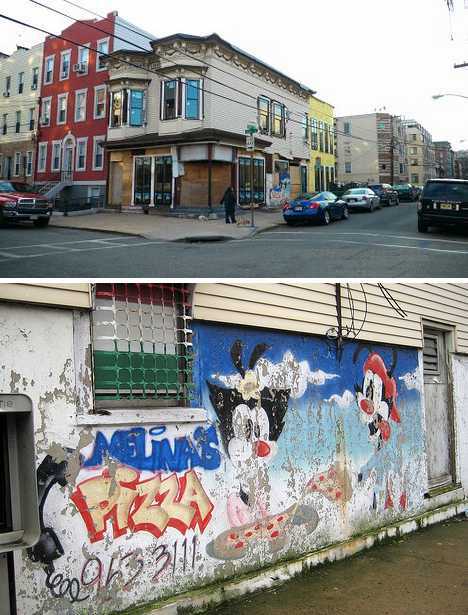 Antonio’s Pizza closed almost 20 years ago but as of August 2012 when these photos were taken, it still stood abandoned. Even odder, the building is remarkably unmarked by graffiti. 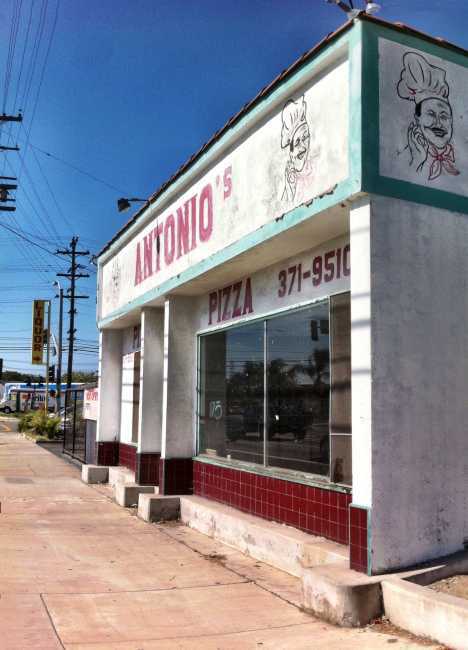 Kudos to the indomitable Dennis of Nobody Walks In Long Beach for capturing the ruins of Antonio’s Pizzeria on a marvelously sun-soaked southern California afternoon. I’d bring my own beer there just to enjoy the building’s timeless and atmospheric presence. 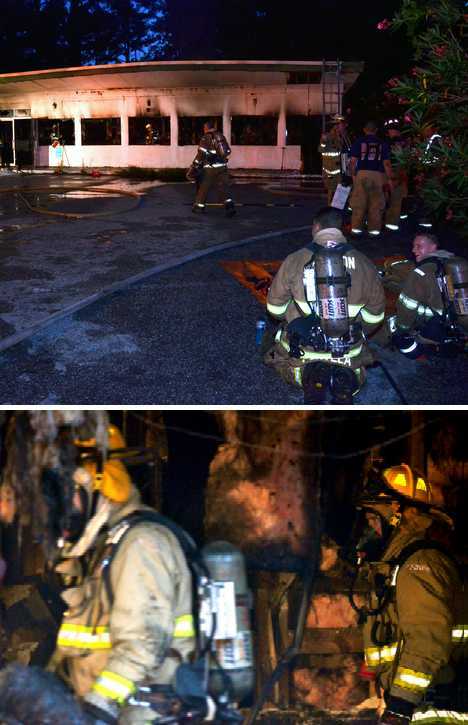 We’re shocked, SHOCKED to hear that a “suspicious” fire destroyed a long-abandoned pizzeria but believe it or not, it happened… one night in late June of 2013, in Beaufort, South Carolina to be exact. 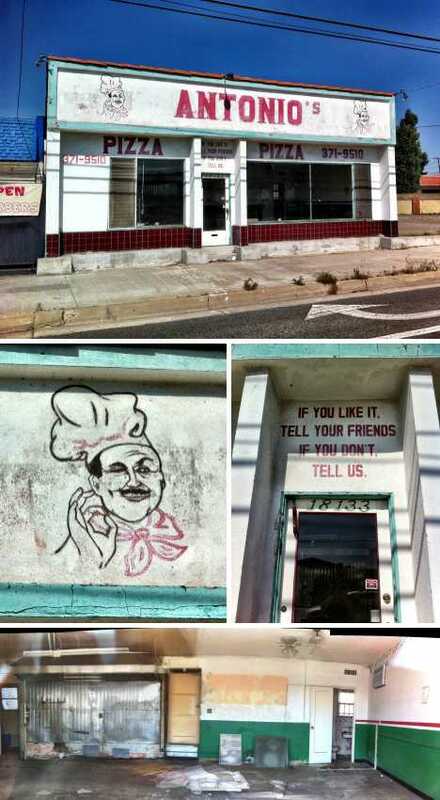 The foreclosed & bank-owned shell of the former Bilit’s Pizza & Philly Steaks on 500 Laurel Bay Road gutted the building, which had been abandoned for several years and had no working electrical service. In related news, time was you could get Philly Steaks in South Carolina. Something’s broken in Hoboken (more than a few, though that’s changing) and we’re looking at you, Melina’s Pizzeria on the corner of 6th and Adams Street. Flickr user Baseballoogie snapped what may be the last and best image of the well-loved Jersey landmark though it’s not known if he was the last to gustatorially experience its “well-regarded” and “unique” pizza style. 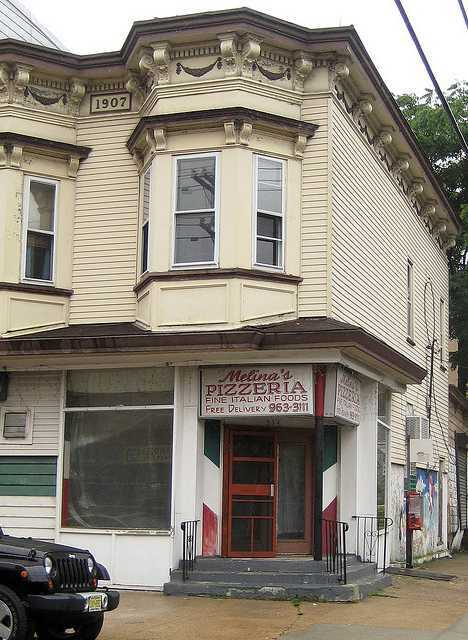 Who knew the Animaniacs loved Melina’s Pizzeria so much? Not Steven Spielberg, we’re guessing, though potential legalities are a moot point now that Melina’s is no more. The undoubtedly unauthorized art does serve to effectively date the tableau, however, as a lost signpost of Nineties pop culture.